Alright already, quit shoving. I know I don't belong here. This magazine already has a place for manufacturers---in the back, where those large egos are squeezed into small column inches so they can't hurt you. Not that I'm exactly proud of my job. On social occasions, if pressed as to my profession, I will usually admit to some honest toil such as mortician or hodcarrier. Speaker design is downright devious work. As proof, examine the specifications for the 1376 models in Audio's 1988 equipment directory. Much of this data, when compared with each described system's real-world performance, looks like Joe Isuzu wrote it on a bad day. When I attended Britain's Heathrow Penta hi-fi show in September 1987, I had hoped to come back with big news about some breakthrough cartridge or preamp or loudspeaker system. I didn't. No, the talk of the Penta show was something called the "Belt Phenomenon," which may possibly be a breakthrough of some kind, but then again, it may not. The electric clocks in my house keep better time than the ones I wind, yet I scarcely look at them. It is the ticking, I think, that comforts me. I like to lean my ear against these various pendulums and, back and forth, gently rock my life away. When I decided to write a piece on the subject of concert-hall acoustics, I realized that almost all discussion concerning this topic is based on the viewpoint of the listener in the audience. While this is important (since the primary purpose of any hall is to bring audience and performance together), the criteria that musicians employ in concert-hall evaluation address sonic parameters that are probably not obvious to the casual listener, and may often be at odds with conclusions reached from the other side of the footlights. Some readers might feel that any discussion of concert halls has no place in a publication such as Stereophile; they may have a point, especially if their sole aim through audio is to produce sonic spectacle, rather than to recreate an artistic event. I believe, however, that there are some readers who would like to gain some insights into the specific problems and acoustical considerations presented to performing musicians, and possibly come away with some fresh ideas to incorporate in their listening criteria. 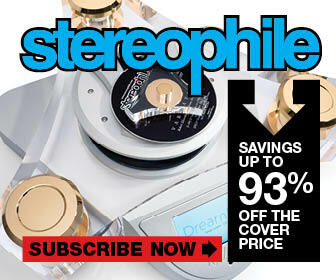 Editor's Introduction: Stereophile's "Recommended Components" feature is, as I am sure you will have guessed, produced by a committee. The reviews are studied, the reviewers polled to verify the continued validity, the merits and demerits of specific pieces of equipment are discussed or, rather, argued over at length by JGH, JA, and LA, and out of the whole business emerges the "truth." But, as with the findings of any committee, what is presented as a consensus will have significant undertows and countercurrents of opinion; if these are very strong, a "Minority Report" is often also produced. Such has been the case this time, concerning loudspeakers. 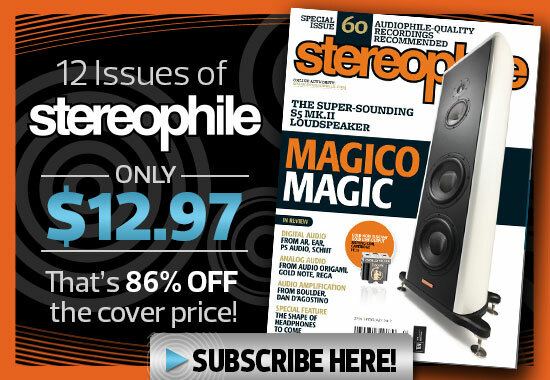 1987 will mark Stereophile's 25th year of continuous (if initially sometimes sporadic) publication. And while we haven't yet decided what we're going to do in celebration, the first issue of 1987 does seem to be as good a time as any to contrast the state of the audio art when we began publication with what is routinely possible today. Ask most professional symphony musicians for their views concerning recording sessions, and you might be greeted with seemingly nonchalant and cavalier responses. You will probably be told that although recording can be quite lucrative, it is almost always an exercise in futility. If you press further, and inquire as to why these "artists" display such negative attitudes, they would treat you to both a lecture concerning the shortcomings and gross musical distortions usually involved in the recording process, and to a tirade on the incompetence and arrogance of many recording engineers and producers. And once you have opened this can of worms, you will undoubtedly be told about the frustrations of having to deal with inaccurate and distorted representations of their art at the hands of the musically inept. I have a confession to make: I play contrabassoon . . . for a living. Now to many this may not seem like such a sin, but within the musical community my instrument is viewed with about as much regard as the common garden slug. This perception is not completely unjustified; often being relegated to roles depicting monsters and evil, along with the occasional digestive grunt, helps perpetuate the general disdain for the contra. However, playing the lowest (non-keyboard) instrument in the symphony orchestra gives me a somewhat different perspective on things, not unlike that of a dwarf in a crowded elevator: a view from the bottom up. It's amazing just how much pitch and harmonic coloration there is down in the subbasement. And shoring up the foundation of the wind section, as well as being the true bottom of the orchestral sonority, can be very satisfying. Although playing an instrument with a limited repertoire can sometimes be disconcerting, it also has its advantages. During rehearsals, if I'm not required for a certain work, I can go out into the house for my own private concert, or stay put in the orchestra and get a sonic thrill that makes the IRS and WAMM systems sound like tin cans.